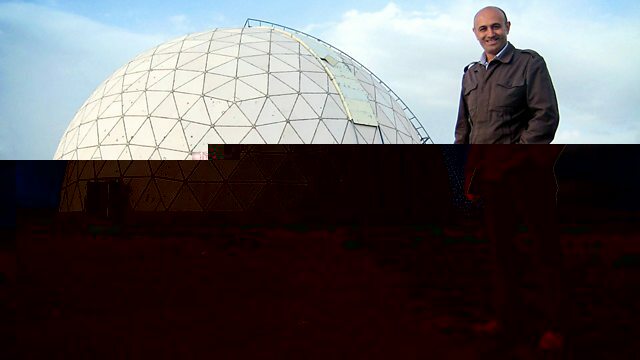 Jim Al-Khalili examines how the Islamic world has advanced science. He shows how Islamic scientific ideas permeated into the west in the 16th and 17th centuries. Physicist Jim Al-Khalili tells the story of the great leap in scientific knowledge that took place in the Islamic world between the 8th and 14th centuries. Al-Khalili turns detective, hunting for clues that show how the scientific revolution that took place in the 16th and 17th centuries in Europe had its roots in the earlier world of medieval Islam. He travels across Iran, Syria and Egypt to discover the huge astronomical advances made by Islamic scholars through their obsession with accurate measurement and coherent and rigorous mathematics. He then visits Italy to see how those Islamic ideas permeated into the west and ultimately helped shape the works of the great European astronomer Copernicus, and investigates why science in the Islamic world appeared to go into decline after the 16th and 17th centuries, only for it to re-emerge in the present day. Al-Khalili ends his journey in the Royan Institute in the Iranian capital Tehran, looking at how science is now regarded in the Islamic world.